In the base of the 4th Battalion, Chief Instructor Zhou Zhen and Instructor Zhang Lizheng looked at each other in astonishment. The third round of the compet.i.tion was full of twists and turns. At first, they thought the 1st Battalion would win easily, but a dark horse, w.a.n.g Xiaofei appeared. Just when they thought the 4th Battalion was going to lose, Mo Wen had miraculously defeated w.a.n.g Xiaofei. In the whole compet.i.tion, other than the first round in which Mo Wen had performed normally, his performance in the rest of the two rounds were absolutely amazing. 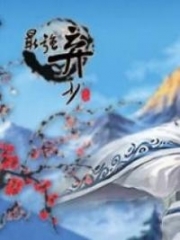 Especially when he was combating w.a.n.g Xiaofei, the normal students might only think that it was interesting. However, those students in the compet.i.tions were those experts who had learnt martial arts. With their discerning abilities, they wouldn't miss the secret concealed in this compet.i.tion. At this moment, they were lamenting over the fact that Hua Xia University was indeed a place with many students who were hidden talented individuals and experts. In the first match, the 4th Battalion won against the 1st Battalion while the 3rd Battalion won against the 2nd Battalion. In the second match, the two winning battalions and the two losing battalions would begin to compete with each other. In the match of the 4th Battalion versus 3rd Battalion, the two strongest battalions started to compete against each other once again, attracting ma.s.sive attention momentarily. Mo Wen swept his eyes across the 3rd Battalion and was astonished to find Shao Jianyang among them. Involuntarily, his lips curled upwards into a cold smile. Shao Jianyang was quite capable, as he was seen in the last few compet.i.tions. Other than Shao Jianyang, another person in the 3rd Battalion also had Mo Wen's attention. It was a youngster with dark skin, a slender body, and a well-featured face which appeared to be determined with a subtle aggression in his eyes. When he looked at a person insipidly, he was able to make the other person feel under pressure. The reason why Mo Wen had noticed him was because his focus had always been on Mo Wen. He detected a sense of animosity in his eyes. He furrowed his eyebrows curiously, as he didn't know this youngster. It was actually the first time he had met him. Then why did he have such great animosity towards Mo Wen? In the distance, Shao Jianyang walked to the side of a youngster and whispered, "Yang Qi, let me handle that Mo Wen. I have some grudges against him. I must defeat that guy." "You are not tough enough," Yang Qi said nonchalantly, while casting a glance at Shao Jianyang. "What? You say that I am not his match. Although I am not as good as you, I can still handle Mo Wen," Shao Jianyang retorted unbelievably, as how could he, an ancient martial art pract.i.tioner, not be able to handle a normal person. "He defeated w.a.n.g Xiaofei from the 1st Battalion, and w.a.n.g Xiaofei is also an ancient martial art pract.i.tioner," Yang Qi said, catching a glimpse of Mo Wen far away. At that time, the 3rd Battalion was combating the 2nd Battalion, so none of them watched the combat between Mo Wen and w.a.n.g Xiaofei. Although they knew that the 4th Battalion had defeated the 1st Battalion, none of them actually had a direct observation as a reference. However, Yang Qi knew w.a.n.g Xiaoyu from before, so he knew how capable w.a.n.g Xiaofei was. "w.a.n.g Xiaofei? 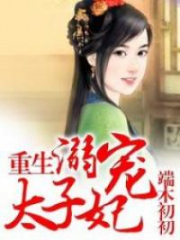 Which realm of Cultivation is she in?" Shao Jianyang asked, his brows furrowed. Since Mo Wen was able to defeat an ancient martial art pract.i.tioner, he must definitely be an ancient martial art pract.i.tioner too. "Regulated Breathing realm; her Cultivation may not be as high as mine, but she's not too far off either." Yang Qi looked at Shao Jianyang calmly, giving him a look that said if he wanted to compete with Mo Wen, he could go ahead and try. 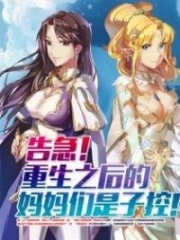 Actually, Yang Qi was very surprised that Mo Wen was able to defeat w.a.n.g Xiaofei. Initially, he thought Mo Wen to only be a young punk, but now, this person seemed to be quite interesting. "w.a.n.g Xiaofei has mastered the Regulated Breathing realm of Cultivation?" Shao Jianyang widened his eyes, as he was only at the Body Consolidation realm. If Mo Wen was able to defeat w.a.n.g Xiaofei, he would be able to defeat Shao Jiangyang effortlessly. For a moment, Shao Jianyang began to hesitate. After a few minutes of rest and reorganization, the second match of combat started at the command of the referee. The 4th Battalion continued to have Hong Lü in the first match with a tall youngster from the 3rd Battalion as his opponent. Neither of them were practicing the ancient martial arts, but they had learnt some Waijia Fist. Once the compet.i.tion started, both started to fight intensely. After a bout of three hundred rallies, Hong Lü was defeated by the tall guy due to a careless mistake. w.a.n.g Yuan was throwing a fit upon watching Hong Lü's defeat, cursing and swearing before rushing forward. "d.a.m.n. Hong Lü is so useless. I'll go - see how I defeat that tall guy." Mo Wen rolled his eyes. The tall guy was not an ancient martial art pract.i.tioner. Although he had a stout body, he was definitely not a match for w.a.n.g Yuan. 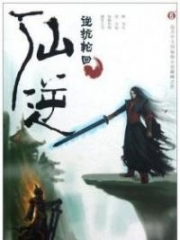 w.a.n.g Yuan knew that the guy was not as good as him, so his fighting spirit was raised instantly. If it was another person, he would probably not be as enthusiastic. True enough, after more than ten rallies, the tall youngster was defeated by w.a.n.g Yuan. "Who else is in the 3rd Battalion? 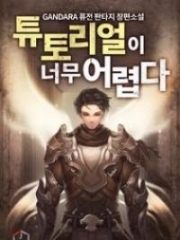 Come on in; I will fight all of you," w.a.n.g Yuan bellowed, as he pointed his hand to the 3rd Battalion while trying to suppress his joy from defeating the tall youngster. Shao Jianyang saw it, stared at him and strode towards the compet.i.tion arena. "This guy has lived for too long. I will go in and beat the daylights out of him." This had proven that w.a.n.g Yuan did not have the ability to shock the compet.i.tors and defeat them all. Shao Jianyang was also an ancient martial arts pract.i.tioner in the later stage of Body Consolidation realm, which was a level higher than w.a.n.g Yuan. Both went into an intense combat, but w.a.n.g Yuan was defeated at the end. w.a.n.g Yuan grimaced in pain and returned with badly bruised face and many footprints on his shirt. "Mo Wen, it's all up to you now. Defeat that b.a.s.t.a.r.d, Shao Jianyang. Don't lose to the 3rd Battalion." At that moment, he placed all his hopes on Mo Wen. He was unable to defeat Shao Jianyang, not to speak of Yang Qi who was arranged to be the last partic.i.p.ant in the compet.i.tion. Mo Wen shrugged his shoulders and went into the compet.i.tion area nonchalantly. Looking at Shao Jianyang, who was standing ten meters away, Mo Wen suddenly laughed and said, "Shao Jianyang, we meet again. The bet earlier had not been honored; when are you going to honor it?" "Mo Wen, since you wish to dig your own grave, I shall fulfill your wish." Shao Jianyang had a somber expression on his face when he heard of the bet, as it stirred an involuntary sense of humiliation in him. "Bring it on. You are obviously a n.o.body. You are the only one who thinks you are somebody." Mo Wen smiled coldly. He never thought too much about Shao Jianyang, the clown. Shao Jianyang bellowed angrily. Without a second thought, he charged towards Mo Wen and struck forcefully on his head. Watching the compet.i.tion from afar, Yang Qi shook his head. Shao Jianyang was definitely an idiot, as he acted rashly and angrily, even when he was not Mo Wen's match. If he didn't fail, who would? Seeing the fist get larger by the second, Mo Wen's lips curled frigidly while he stood rooted motionlessly, like a wooden stake, and extended his fist forcefully towards Shao Jianyang's fist. The crisp sound of the breaking of bones resonated. Shao Jianyang was thrown back a few steps by the force of Mo Wen's fist. His own fist was obviously distorted. Mo Wen remained at the spot motionlessly. Shao Jianyang was momentarily speechless and looked at Mo Wen in shock. One hand was covering the other fractured hand, as beads of cold sweat ran down his forehead, due to the excruciating pain. He had never expected Mo Wen to be so strong that he couldn't even take a stroke in a head-to-head combat with him. Yang Qi, who was watching the compet.i.tion from afar, squinted his eyes and had a grave expression on his face for a few moments. Mo Wen looked nonchalantly at Shao Jianyang. He couldn't combat head-on with w.a.n.g Xiaofei; he could surely go head-on with him. Shao Jianyang was simply disgracing himself, as he was only in the later stage of the Body Consolidation realm. He didn't give Shao Jianyang a breather as he didn't want to miss the chance of beating Shao Jiangyang. In a flash, he appeared in front of Shao Jianyang and punched forcefully onto his abdomen, sending him flying 13-16 feet away. Shao Jianyang turned over and stood up, looking at Mo Wen with fear all over his face. If this were to continue, he could be beaten to paralysis by Mo Wen. Mo Wen didn't continue, as he knew the referee would come forward to stop him if he did. After all, it was only a combat compet.i.tion - not a life or death battle. Shao Jianyang glanced at Mo Wen sinisterly, but didn't dare utter a taunt, so he went off with his tail between his legs. A tinge of disdain flickered in Yang Qi's eyes as he looked at Shao Jianyang who was in a sorry state. He then walked, unhurriedly, to the compet.i.tion area. 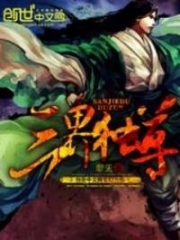 You're Read Invincible Kungfu Healer Chapter 42: Shao Jianyang, The Clown online at NovelOnlineFull.com. You can use the follow function to bookmark your favorite novel ( Only for registered users ). If you find any errors ( can't read,broken links, can't load photos, etc.. ), Please let us know so we can fix it as soon as possible. And when you start a conversation or debate about a certain topic with other people, please do not offend them just because you don't like their opinions. You're reading Invincible Kungfu Healer. This manga has been translated by Updating. Author(s): Azuresky. Already has 987 views. Current Time is 20-Apr-2019 08:23:05 AM.